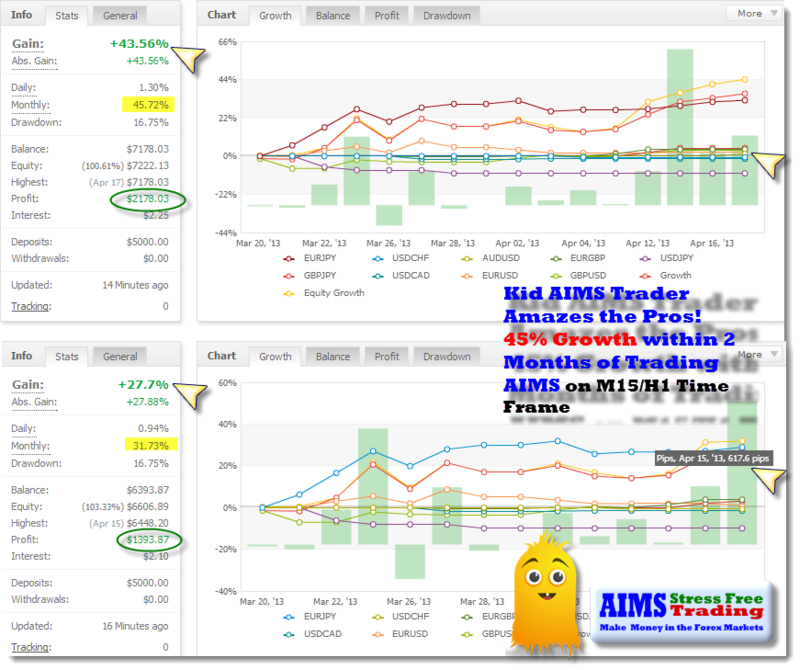 I'd like to share with you results of a Kid AIMS Trader who joined AIMS a couple of months back and started trading AIMS on H1 and M15 time frames. He's done so amazingly good, even I am shocked! 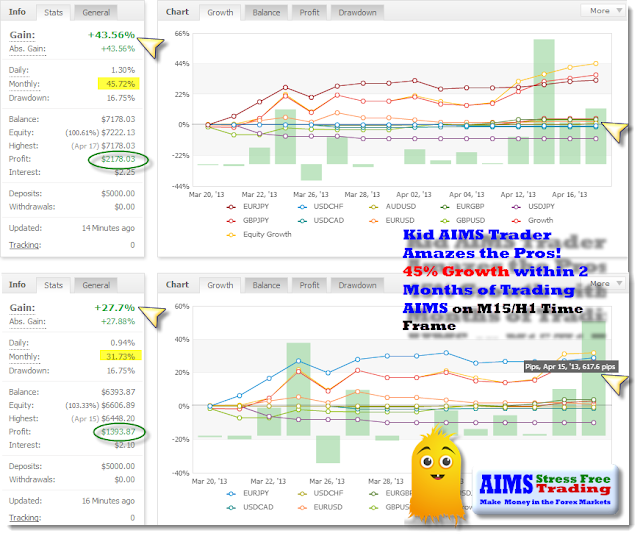 He just sent me an email with a snapshot of his results that he posted on www.myfxbook.com. He was 27% up 2 days ago and today he's 45% up! Now that is cool trading. I am compelled to share the image with you!